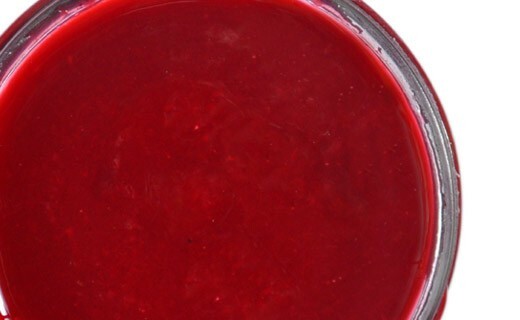 The raspberry jam has been created by Christine Ferber for all those that love raspberry. 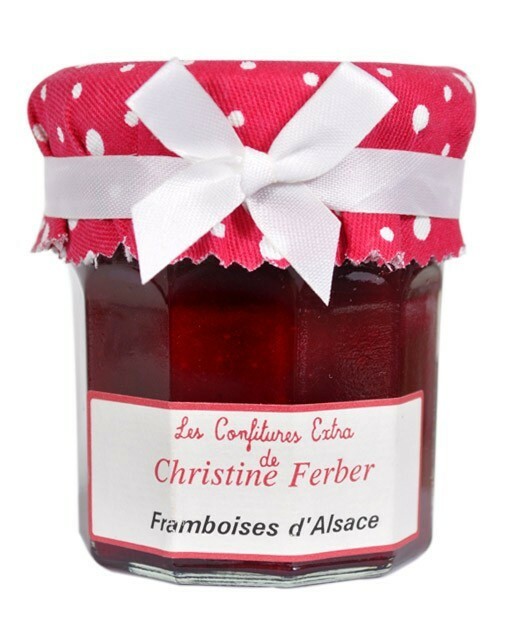 Jam prepared in Alsace by Christine Ferber exclusively from fresh fruit. raspberries, sugar, apple pectin, lemon juice. Christine Ferber and her team prepare these wonderful jams in Niedermorschwihr, a small village nestled in the heart of vines. Not more than four kilograms of fruits are processed in copper pots for jams that have convinced the greatest chefs. Also if you are visiting Paris, you should go at the Crillon and the George V for brunch on Sunday morning: they will serve you an exquisite selection of jams from Christine Ferber. 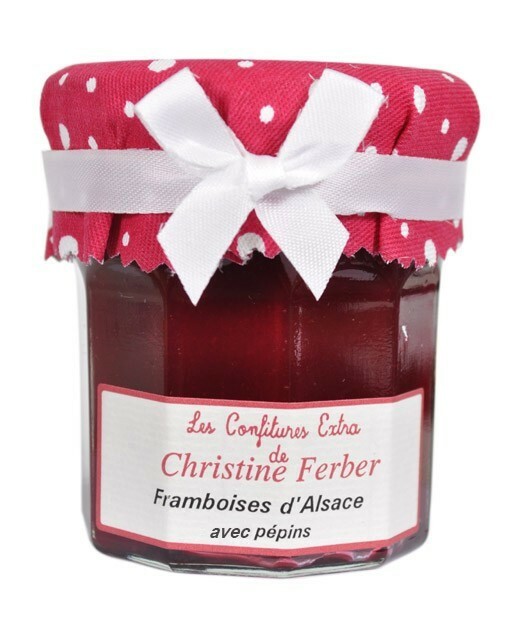 Christine Ferber's jams will accompany gladly, the bread of the breakfast, toasts or brioches and the desserts such as crepes, french toast, waffles or ice-cold desserts.